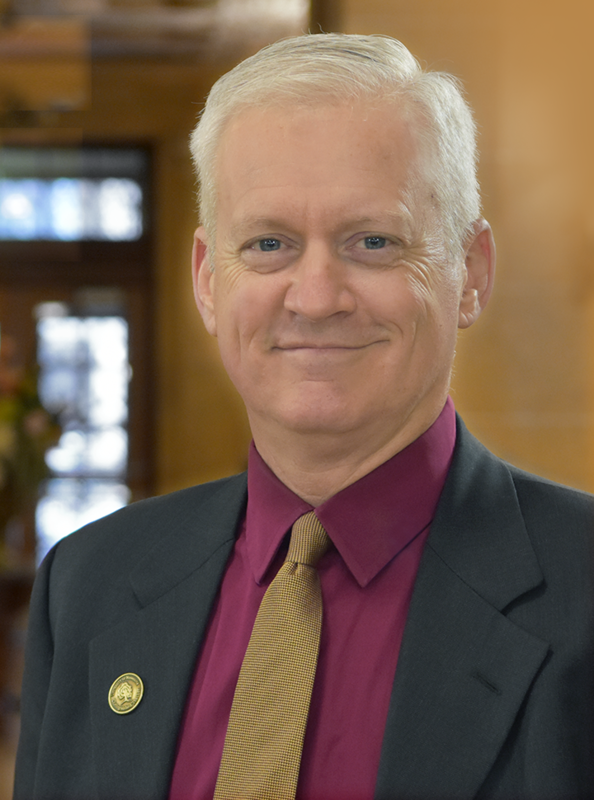 On November 12, 2018, Christopher J. Cramer became the University of Minnesota’s Vice President for Research, a position that oversees the University’s $900+ million research enterprise across all campuses and facilities and directly manages units responsible for sponsored projects, research and regulatory compliance, and technology commercialization, as well as eight interdisciplinary academic centers and institutes. He shares his thoughts and travels around UMN on Twitter at @VPRCramer. Prior to his appointment as vice president, Chris served as associate dean for research and planning, and for academic affairs, in the University’s College of Science and Engineering, as well as at one time chair of the Faculty Consultative Committee. A dedicated educator, he is a Distinguished McKnight and University Teaching Professor who has mentored more than 30 doctoral students. Chris served as the Editor-in-Chief of Theoretical Chemistry Accounts for 15 years and as an Associate Editor for the Journal of Physical Organic Chemistry for 20. He has been recognized as a fellow by the American Chemical Society, as well as by the Alfred P. Sloan and John Simon Guggenheim foundations, and his recent research has been supported by the Department of Energy, the National Science Foundation, and the Defense Threat Reduction Agency. He is author of the textbook Essentials of Computational Chemistry, Theories and Models and a popular massive open online course, Statistical Molecular Thermodynamics. Chris joined the University of Minnesota in 1992 after earning his A.B. from Washington University in St. Louis and his Ph.D. from the University of Illinois, and then serving four years as an officer in the United States Army, including combat duty in Operation Desert Storm. Fernando provides financial leadership and direction for all OVPR units, centers, and programs, with responsibility for budgeting, financial planning and analysis, reporting, forecasting, policy compliance, supervision of staff, and financial operations oversight. Fernando joined OVPR administration in 2017 after working briefly in OVPR’s Technology Commercialization office. Before that, he worked for more than 20 years in finance and administration for large multinational companies, including in budgeting, forecasting, auditing, and strategic planning as well as administrative areas of information technology, human resources, and facilities management. He has degrees from Oxford University, University of St. Thomas, and St. Cloud State University. Dan leads OVPR’s communications department, which plans, coordinates, and implements communications strategies that highlight the importance of the U of M’s research enterprise and the its role as a partner in economic development and technological advancements. He advises the vice president for research and his executive leadership on communications and government relations and assists with issue management related to research for OVPR and the University. He previously served the University as a speechwriter to two presidents, federal relations coordinator, and Extension program coordinator. He holds two policy-related degrees from Stanford University. Rick oversees the Technology Commercialization office, which facilitates the transfer of U of M research to products and services that benefit the public through licensing, business partnerships, and startup ventures. Before joining Technology Commercialization in 2008, Rick worked for 20 years in the software industry, including executive management with Control Data, OpenVision Technologies, Veritas Software, and Symantec. Rick received a bachelor’s degree in computer science and mathematics from the University of Wisconsin–La Crosse. Frances oversees the work of the Institutional Animal Care and Use Committee (IACUC), the Office of Biotechnology Activities Oversight (OBAO), and several research-focused centers and institutes. She also leads Research Advancement, which supports interdisciplinary initiatives, administers U of M research grant programs, guides research infrastructure planning, and directs research policy and review. She is an award-winning researcher and teacher with a specialization in science and mathematics program evaluation. She has held departmental and college leadership positions and published well over 100 research papers and over 200 evaluation reports in addition to other scholarly work. She earned her Ph.D. at the University of Minnesota. Frances Lawrenz biography. Michael has regulatory and compliance responsibilities associated with the Human Research Protection Program (HRPP), Institutional Review Board (IRB), the Research Compliance Office (RCO), and several OVPR academic centers and institutes. He also serves as OVPR’s point person for the AHC restructuring plan. He is a past director of graduate program in Epidemiology, served as a longtime member and leader of the U of M’s IRB, and served the Faculty Senate in various roles. His research focuses on the social determinants of health, and he has won SPH-wide awards for teaching and advising students. He currently directs the Interdisciplinary Research Leaders (IRL), a nationwide research leadership program supported by the Robert Wood Johnson Foundation. He earned his Ph.D. at the University of Massachusetts, Amherst. Michael Oakes biography. For 12 years, Jay led the University’s Office for Technology Commercialization, where he oversaw a steady increase in licensing activity, startup creation, and industry sponsored research under his leadership. In his current role as special assistant to the vice president for research, Jay works on a variety of projects that draw upon his expertise in moving ideas and technologies to market. Previously, Jay held key management and executive roles at Honeywell, leading space, automation, and environmental controls divisions there. He studied electrical engineering as an undergraduate at the U of M and holds master’s degrees in electrical engineering and computer science from the University of Wisconsin. He has executive management certifications from Harvard University and UCLA. As chief of staff, Lisa ensures effective planning and coordination of the research agenda including strategic initiatives, priority setting, and work planning. Lisa manages OVPR's centralized shared services, including communications, information technology, human resources, finance, and the administrative support team. She began her career in accounting positions and expanded her experience to include research administration, information technology, compliance policy, business analysis, strategic planning, and project management in her more than 30 years at the University of Minnesota. Lisa holds a B.S. in accounting from the Carlson School of Management and an MPA from the Humphrey School of Public Affairs. Pamela is responsible for pre-award and post-award nonfinancial services supporting about $790 million in research awards annually, as well as negotiation of facilities and administrative rates, effort reporting, and research policy and education. Prior to joining the University of Minnesota in 2007, Pamela led pre-award and post-award administration at Stanford University, and served in research administration at the UCLA, UC Santa Barbara, and Northwestern University. In August 2016, she received her industry’s highest honor, the Outstanding Achievement in Research Administration Award. She is a leader in national research organizations, including the Council on Government Relations, and holds a B.A. from the University of Wisconsin. Last Modified: January 10, 2019 - 9:37am.